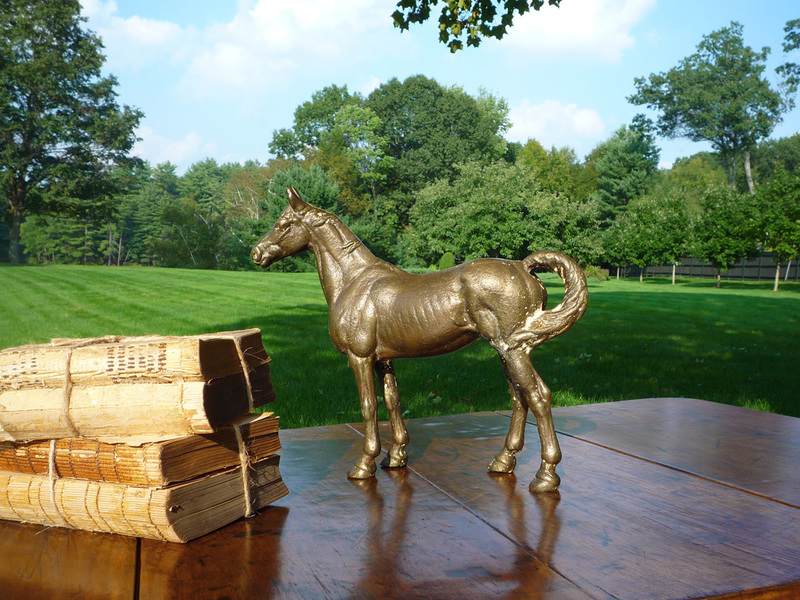 A lovely antique cast bronze horse, with two screws holding the two sides together. All original, very heavy and solid. It was once painted white and there are areas with the paint still visible.Fantastic as a decorator piece. The horse is a brilliant size for a side table, fireplace mantle or as a door-stop. An equestrian enthusiast would be delighted by this brilliantly made horse.There are no makers marks on the exterior of the piece or country of origin. Very likely made in the USA.Please be in contact for shipping and handling charges. It’s likely this item could be shipped USPS Flat Rate Priority.For international shipping, please be in contact for rates. Extra handling charges apply to items sent overseas. Shipping rates will vary to Hawaii, Alaska and US Overseas Territories.